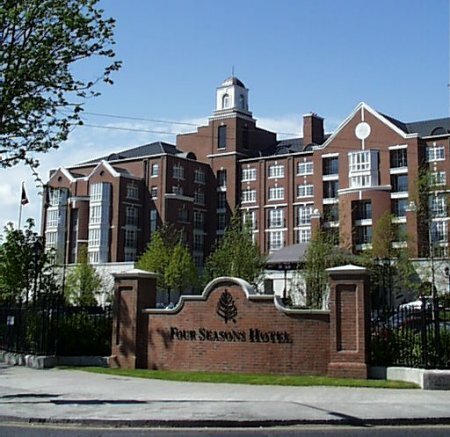 When McCarthy & Associates were retained, this 5-Star hotel development was significantly behind programme and suffering severe financial losses. Farrell Grant Sparks had been appointed as receivers, and they in turn approached McCarthy & Associates to project manage the remainder of the development. McCarthy & Associates also had to mediate with the investor, Quinlan Private, and the Four Seasons Hotel Group, while undertaking this role. While the building works were substantially complete, the challenge to McCarthy & Associates was to complete the remaining construction work, along with the fit out of the hotel, in as short a timescale as possible and keeping to an agreed budget. McCarthy & Associates put in place an on site project management team which carried out an audit of the current status of the project. Having carried out this audit a number problems were identified with the development management process, and as a consequence commenced the process of reorganising the project management structure. Negotiations commenced with both the main contractor and the nominated sub-contractors to ensure continuity on the project. Where sub-contractors did not wish to continue on the project, replacements were proposed by McCarthy & Associates, and in all cases, new contracts were negotiated for completion. Revised briefs were negotiated with the design team and agreed for completion. As a result of this process a fully coordinated and motivated construction and design team was created with a clear brief for completion. Regular progress meetings were held on site to ensure no time was lost away from the project, and also to allow continuous monitoring of the works. This enabled instantaneous resolution of site issues and constant control of all works on site, while also maintaining a tight grip on the costs being incurred on the project. McCarthy & Associates successfully project managed the delivery of a prestigious 5-star hotel, which exceeded the expectations of our clients. The hotel was completed in two stages. 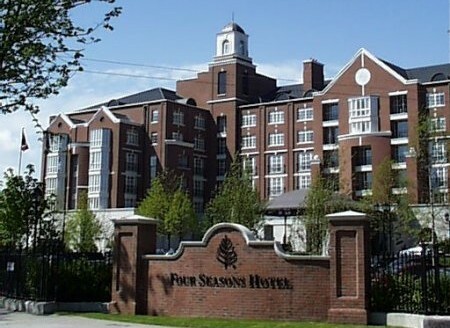 The First Stage, Floors 1 to 3, allowed the hotel to open to the public, and start attaining a revenue stream. The Second Stage, Floors 4 and 5, were completed while the first stage was trading, and with no disruption to the business or paying guests. Since the completion of the hotel, McCarthy & Associates have been appointed by Quinlan Private and the Four Seasons Hotel Group to project manage further renovations to the hotel, including the conversion of the 5th and part of the 4th floors into premium apartment residences. McCarthy & Associates were also retained to complete other Four Seasons operated hotels in Prague and Budapest.